Any special features you want on this, Canada? I’ll see what I can do. So 6 months ago I was working in the Marketing Dept. of Mercedes-Benz Canada minding my own business when one day I was pulled into a meeting room and told that after 4 years of working there I was being let go due to “changing priorities” in the department. What this really meant is that they needed to free up a headcount to hire yet another Social Media person (yawn), and it was mine they picked. Ah well. Since then I have been searching an applying for a job at all the major (and minor) OEM’s who have head office locations in the Toronto area (basically all of them). Now, I have a degree in Aerospace Engineering so Marketing was never really my passion per se (or my area of expertise), and I really kind of fell back-assward into it after graduating in the recession of 2008 when there were zero Aero companies hiring. So after bouncing around at a few Marketing companies and taking car-related assignments whenever I could get in on them (auto shows, mall tours, ride-and-drives, etc.) I had made some good contacts in the auto industry. When the Mercedes role appeared I emailed the hiring manager directly (whom I had pitched business to months earlier) and had the MB job about a week after that. It really is all about who you know, I’m proof of that so never hesitate to introduce yourself to the people behind the desk at the auto show, they know the people who do the hiring so get their card if you can. On to the new job... As you may have guessed from the lede image the new job is with Hyundai/Genesis Canada. I will be a Product Planner for the Sport/Intermediate/Luxury cars. 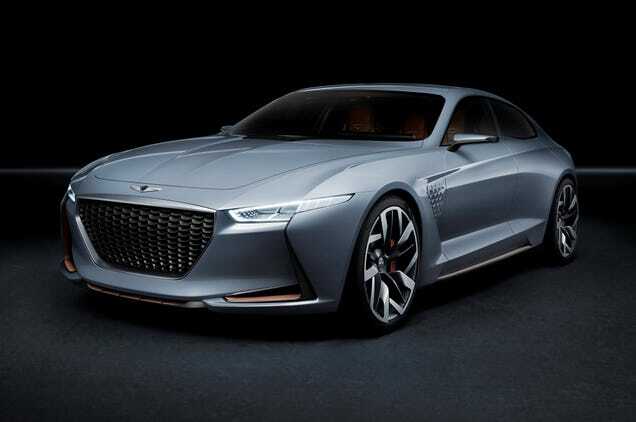 This means that I will be responsible for putting together packaging and options for all upcoming Hyundai Genesis Coupes and Sonatas, as well as the Genesis G80 and G90, which is awesome. What this will also mean is being privy to a lot of things coming down the pipeline for both brands which is very cool too. As the Genesis brand grows I will likely have more involvement of future products and packaging for Canada in that regard but for now I will very much be handling cars for both brands. I’m super excited for the new opportunity and to be doing something closer to the technical background I have and am comfortable with. The Marketing thing was fine, but ultimately not really what I loved. This will hopefully be much closer to the dream for me and can’t wait to get started. Time to start livin’ life KDM style, yo.